“Lights All Night” is one of the largest electronic music festivals in the country that will be taking place December 30–31 in Dallas. New Year’s Eve downtown has never been this big. 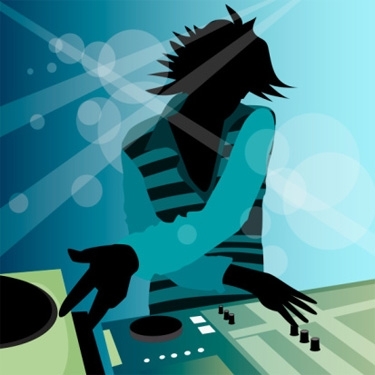 At the end of December – the final 2 days of 2011 – over 30 performers will hit the stage at the Dallas Convention Center where “Lights All Night” is being held. You’ll get a peak at the brand new Omni Hotel also. 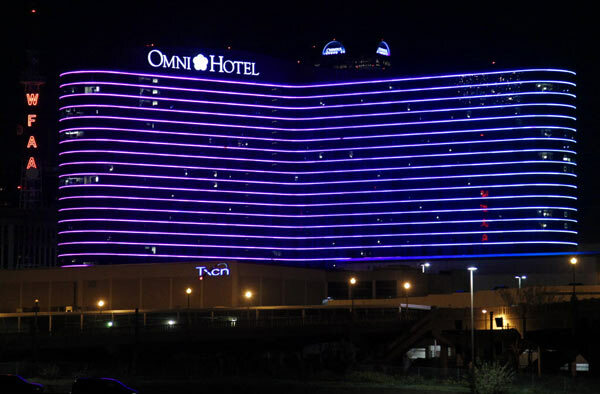 The new 1,000 room luxury hotel is attached to the Dallas Convention Center via sky bridge, and registered guests of the event and hotel will have access to the skybridge connecting the Omni Dallas and the Convention center allowing for an ultimate NYE experience. “Lights All Night” will showcase artists on three main stages, dubbed Dance Hall, Bass Hall, and Groove Hall. The two-day festival will feature state-of-the-art production with a dynamic light show, live dancers and art installations. Enjoy a dynamic array of art installations. 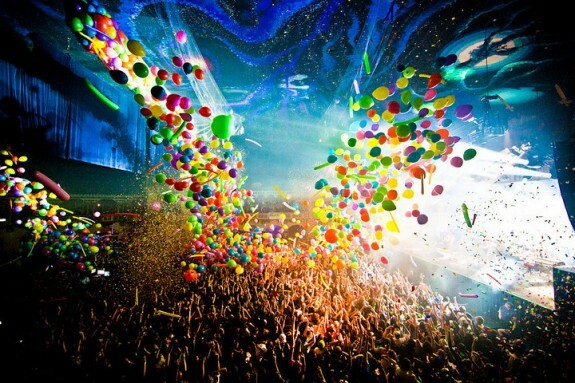 What better way to bring in 2012 than with other electronic and dance music fans like yourself? Some of the Top DJs in the world will be there like: Tiesto, Benny Benassi, Laidback Luke, Wolfgang Gartner, and Porter Robinson, along with Ghostland Observatory, Girl Talk, Diplo, Neon Indian, and many more! These artists will join a lineup of some of the most celebrated electronic acts, featuring: Tiësto, Benny Benassi, Laidback Luke, Dada Life, Sandro Silva; as well as Girl Talk, Ghostland Observatory, Wolfgang Gartner, MSTRKRFT and Neon Indian. To Enter the DJ Competition, Dance Competition and Art Installation Submission. Click here if you feel like you have what it takes to compete! The Lights All Night Music Fest has also partnered with the American Red Cross to help bring awareness and procure donations for the North Texas Region. They are accepting donations at LightsAllNight.com. Click here to make a donation to the American Red Cross now to support victims of devastating natural disasters. Participating LAN artists will be contributing exclusive merchandise that will be auctioned to raise funds for the North Texas branch! Bring in 2012 at LAN! It all just depends on how fancy you’re trying to get that weekend. Unfortunately Platinum VIP Single Day tickets have already sold out. 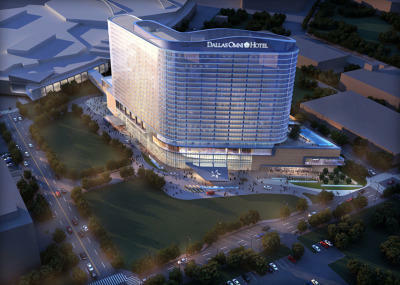 Hotels packages are also available with the new Omni Dallas Hotel and the Magnolia Dallas. Click here for more info on those packages. DFW Happenings will keep you posted on all the set times for the event as they won’t be posted by LAN until 1 week prior. Gather your other Dance/Electronic buddies for an unforgettable New Year’s Eve 2012 with Lights All Night!